Jewelers throughout California have been affected by the state’s painful electricity deregulation process. Unpaid power supplier bills, energy plant repairs, and power overloads have forced some California-based jewelry businesses to endure unscheduled rolling blackouts and electricity rate increases of 7%-15%. Some jewelers located in areas where the two-hour outages have been occurring say they’ve noticed a drop in traffic. In fact, the possibility of traffic lights shutting off on consumers may have convinced some to stay home, suggests Susan Bock, owner of Bock’s Jewelers in San Francisco, Calif. On the day JCK spoke to Bock, her typical number of customers was down 35%. 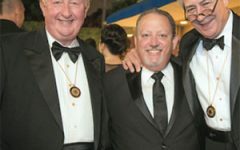 Rick Billodeaugh, owner of San Jose, Calif.-based Decker’s Jewelry, says a bigger problem with the rolling blackouts is the uncertainty of when they’ll occur. ”I really hope one doesn’t happen today because I’m casting,” he says. If the power did go out, he could just fire up the oven again later, but an outage would be an inconvenience. Fortunately, the electricity problems being experienced statewide haven’t cost Billodeaugh any money, yet. Though California officials suggest businesses ”prepare” for possible rolling blackouts, retailers claim there isn’t much they can do but to ‘sell more’ the next day. 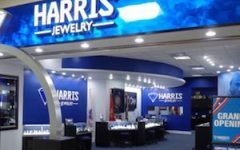 Many jewelers are also saving computer data every 10 minutes to prevent losses should the lights go out unexpectedly. At press time, a representative from the office of Governor Gray Davis expected the energy situation to stabilize ‘soon’ in light of the federal mandate allowing Californians to buy energy outside the state.